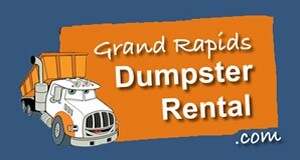 At Grand Rapids Dumpster Rental, we stock two convenient dumpster sizes to rent: 10 yard, 15 yard and 20 yard bins. Choose the 10 yard box for smaller or residential cleanups. Our 15 yard containers is great for medium sized cleanups and remodeling. Step up to the larger capacity 20 cubic yard bin for bigger jobs, including construction and renovation projects. We work with the customer to ensure their disposal needs are met. In some cases, this may mean providing multiple dumpsters or doing container swap-outs at larger construction sites. 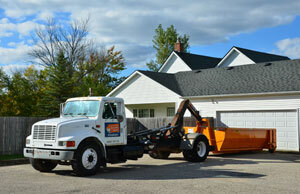 Grand Rapids Dumpster Rental will go the extra mile to ensure complete customer satisfaction. Our expert team will help you determine the ideal container size for the project. We’ll design a strategy for disposing of all your waste or debris in the most economical means possible. We have an additional charge of $10.00 per mattress or box spring. 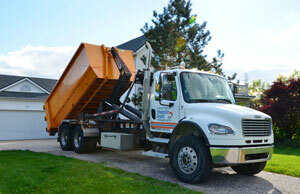 Grand Rapids Dumpster Rental serves residential and commercial customers throughout West Michigan, including Holland, Wyoming, Walker, Kentwood, Sparta, and surrounding areas. Call today and speak directly with the owner, Tom LaBotz. 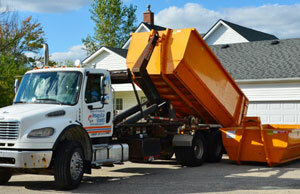 He and his team look forward to hearing from you and hopefully serving your bulk waste disposal needs!